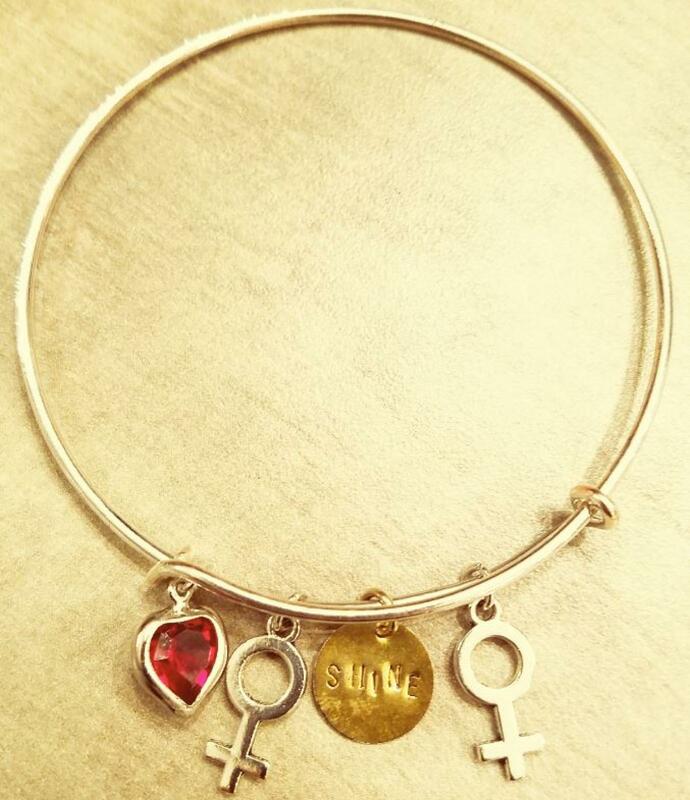 Each Sterling silver adjustable bangle bracelet is adorned with a gold or silver disc charm hand stamped with the word shine, along with 2 female symbol charms and a tiny multicolored tassel. Proceeds of each bracelet sold go directly to the SHINE foundation. Make a difference today. Let's SHINE together!